It’s always lovely to be recognised for doing something you love doing – so needless to say I was delighted when I found out that I had been nominated, not once but twice for The Wedding Industry Awards – thanks to the two people that voted for me. 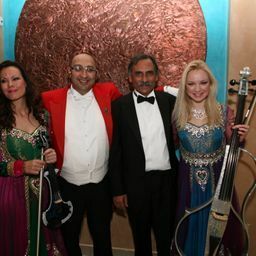 As a professional wedding Toastmaster in London, I love making families, brides, grooms and others happy and the satisfaction I get from doing so is a very beneficial part of this line of work. Seeing people at ease and enjoy a stress-free day, without issue is always a lovely thing and knowing that you helped them along the way is very satisfying. The Wedding Industry Awards are about ‘Recognising and rewarding excellence in the wedding industry’ – I obviously took that from the Wedding Industry Awards website. Needless to say, there are some fantastic people on there that have been part and parcel of the wedding industry for a long time. Of course, it’s understandable why so many people enjoy being part of this wonderful area. I know that being a wedding Toastmaster in London for weddings in this industry is a great job, but for a lot of people – it’s a lot more. There’s something fantastic about weddings and whether you’re a family member, a guest, or someone offering a service for the big day – it’s hard not to enjoy it. When a lot of people have to deal with less than ideal situations and work in environments that aren’t always uplifting, working in a wedding environment is very different. Everyone is upbeat, happy and enjoying themselves and the general atmosphere is positive and fantastic. This mood is an uplifting one and for people working in the industry is often a big part of why they’re in the industry. So, I’m not one odd. I love weddings and love being a wedding Toastmaster in London and its surrounding areas such as Middlesex and even further afield. It’s a great job and one it’s lovely to be recognised for being good at. So, why not get in touch with me if you’ve any queries or want me to help you with your wedding.